Voicemail is an important part of your business and your sales staff should think of it as one of their top priorities. However, some people treat voicemail as the last thing they check when going to work each day which can mean that their voice customers might not even get a call back. You need to sit down with your sales team and tell them to check voicemail first each day as the lead is already at least a day old. In addition, make sure they don’t make these common mistakes. This tells you the identity of the greeter and asks for the caller’s information. It also tells the caller that their call is important and will be answered pronto. It may be necessary to add another sentence explaining your position at the company IF you work for a large section. If more is needed, then you should rethink your approach to your customer. Nobody wants to talk to someone who is dull. The same is true for voicemail greetings. Add energy to your recording. When you make your greeting, do so with a smile on your face. People can hear a smile on the other side of a phone line. Practice your greeting using a recording device, or a friend/family member. The feedback will be invaluable. If you have a drama background, then this is a no brainer. But most of us do not have that expertise. Practice with a voice recorder will help you hear any problem words. Letting others hear the recording is even more important as they do not know what you are trying to say and can single out problem areas. Remember, if the caller can’t understand you, then they probably won’t leave a message. Also, slow down. Too many voicemails are incoherent because the caller speaks too fast. If your caller left a message about a specific product or issue, make sure you understand everything you can before calling back. Not only will this make your conversation easier and possibly faster, but it will give your caller confidence that your company is informed. Customer loyalty could rise and they may feel more comfortable recalling in the future. Even if your caller left the message fifteen minutes ago, call them back ASAP. Always assume your caller could be shopping around and has left multiple messages with your competitors. Studies show many consumers will decide to work with the company who calls them back first. 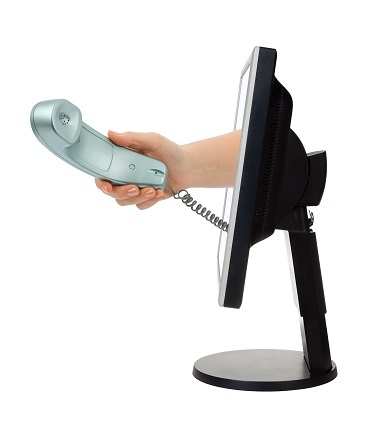 You may increase your sales just by calling back quickly. MyHalloo offers Enhanced Voicemail to help workers better manage their calls. This includes SMS Notification, Mobile Voicemail and Voicemail to Email. An easy solution to help you handle your customers. This entry was posted in Enhanced Voicemail, Mobile Voicemail, Sales, Voicemail and tagged enhanced voicemail, mobile voicemail, sales, voicemail by Kimm Antell. Bookmark the permalink.